We as a cast iron basket strainer are honored for resolving the clogging issue, generally determined in the industries due to the foreign matters by introducing the cast iron basket strainer, made from the best grade cast iron material. This cast iron basket strainer is greatly accepted in the market for its efficient operation and low-cost characteristic. The offered basket strainer is an assembly of the cast iron body and SS perforated basket, wherein the basket is enacted as the strainer and filters all the impurities causing clogging in the process equipment. 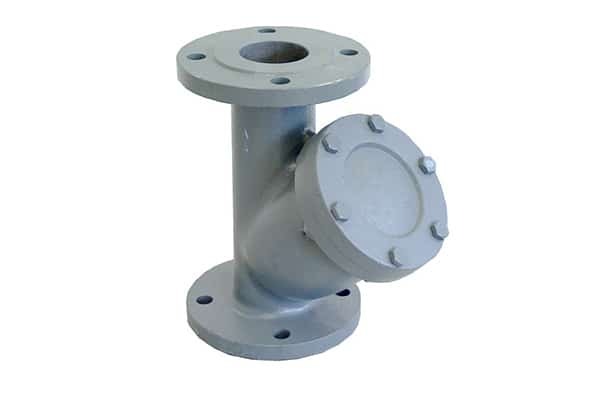 This cast iron basket strainer is manufactured as per the ISO 9001:2015 regulations and the flanged ends are gauged as per the ASME standards. The end product undertakes severe quality check to ensure its impeccability and that’s what makes it outstanding throughout the life expectancy. This low-cost basket strainer is being installed in the enormous industries to filter unwanted sediments from water flow and prevent the shutdown of the process, available in the variegated dimensions, meshes, perforations according to end user requirement all across India and overseas countries.